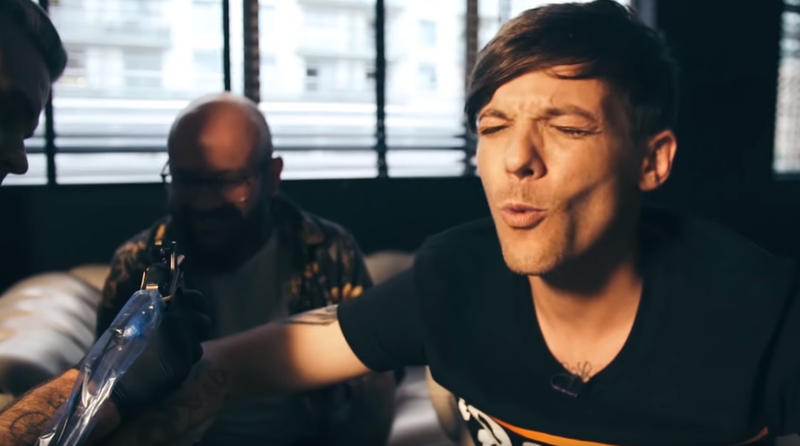 Robbie Williams posted a video of him and Louis Tomlinson tattooing each other on his vlog. Louis brought up the idea of them tattooing each other during X Factor and they made it happen. Louis goes first tattooing an X on Robbie with instruction from a tattoo artist who was overseeing the process. He does a decent job! In the end, Louis is good-natured about it and not many people can say they have a tattoo from one of their idols!